My name is Charlotte and I am a candle addict. It’s a seasonal thing; as soon as that calendar hits October my flat starts to look like the Great Hall from Harry Potter... there’s also a similar amount of food, but that’s a story for another day. I’m starting with the big guns, the queen of the scented candle. As I write this, I have just blown mine out. Because everyone knows you burn your Jo Malone for an hour before blowing her out and lighting your cheaper non scented candles, whilst the smell wafts and lingers for the rest of the afternoon. I’m quite a stick in the mud for the Pomegranate Noir, and when a particularly decadent mood strikes, I light up the Dark Amber and Ginger Lily (don’t tell anyone that’s my signature scent). I was wondering if the English Oak & Redcurrant could win me over and it took all of about 5 minutes before I started to come over all Autumnal, wanted to lock my doors and hibernate under a blanket until March. In other words, I’m in love. I did not get this candle purely because it’s called June’s (I have a six month old daughter named June), but also because the first thing on the ingredients list is Bergamot - my favourite. Over the years, I’ve learned a little bit about the smells I like and loathe and Bergamot is right up there with my happy smells, coming second to anything orange scented. 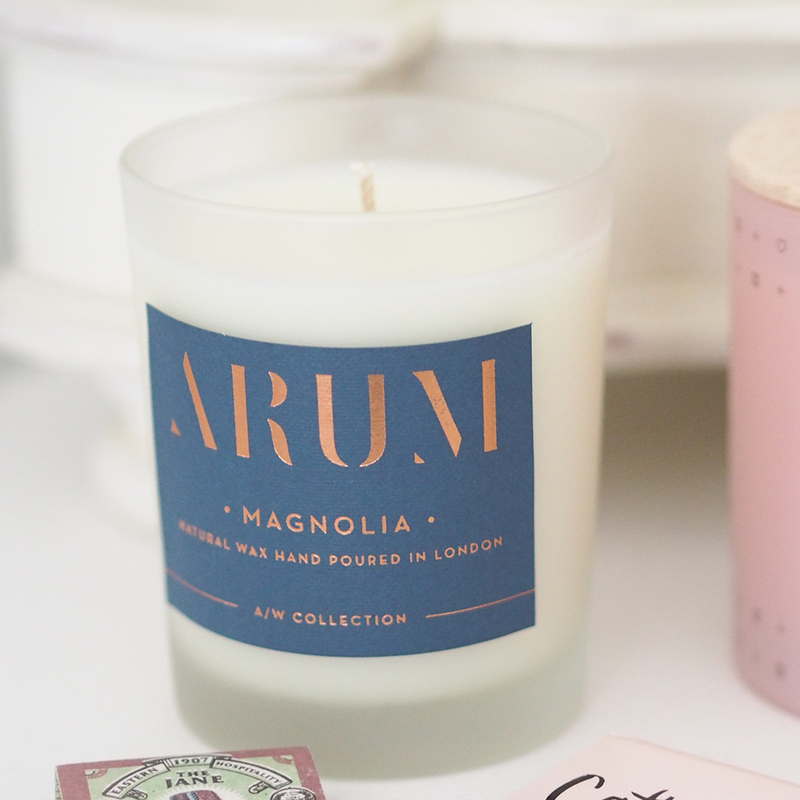 Made in LA, this candle company was set up in 2014 by David Kien and Matthew Herman (hence the name). This particular scent was created with June's All-Day cafe and wine bar in Austin, Texas in mind, which is located on South Congress Avenue. The most memorable holiday of my life included a week in Austin, so I’m smitten with this candle for several reasons, and that’s before we’ve even discussed the alluring packaging. Let’s clear up the pronunciation issues first and foremost, BÆR is simply pronounced ‘bare’ and means berries in Norwegian. Scandinavian winter living is something a lot of us seem to take inspiration from and Skandinavisk have designed their candles and diffusers to help you escape to Scandinavia on first light. Imagine ‘vast silent landscapes and raw seasons of cosy shared moments’, then take a short cut there - with less layers necessary - when you burn these candles. My second favourite scent is Fjord, but you can explore the whole collection here. And again, it’s going to make a very nice storage pot for something with its birch wood lid afterwards. Whilst I love a strong smelling candle, sometimes your nose needs a night off. Enter this subtle but distinctive scent by Arum. Made in London, Arum produce two seasonal collections, one for Spring/Summer and Autumn/Winter. The mission behind the company is ‘ to make sure that the little time we have at the end of our day is spent royally.’ I’m in complete agreement - what’s not to love about that sentiment?! Also in their winter collection is Oats & Honey and Amber & Lavender, shop them here. Arum suggest that you invest in a wick trimmer and a snuffer to get the most out of your candles. This candle collecting is a serious business!